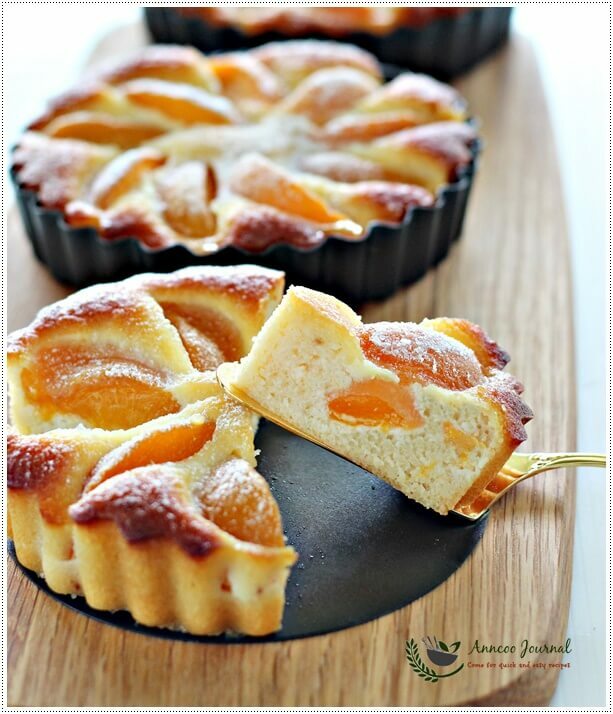 This Gluten Free Apricot Almond Tart with simple ingredients is not too sweet and it doesn’t take much effort to prepare. 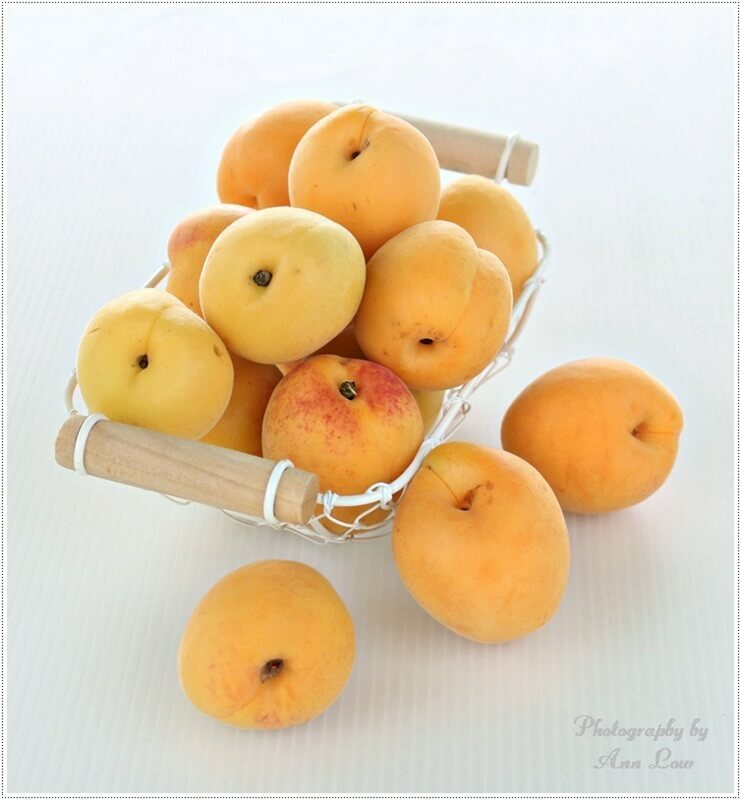 Besides fresh apricot, you can use any hard stone fruits, like nectarines, peaches, plums or even canned fruit of your choice. Preheat oven to 350 deg F/175 deg C. Prepare and line with parchment - 4 - 12cm ( 5 inches) or 1 - 22cm (12 inches) removable pie pan . In a large mixing bowl combine the ground almond meal and icing sugar together, mix well with a hand whisk. Then add melted butter, honey and eggs into it. Mix very well with a hand whisk until lump disappear and pour evenly into pans. 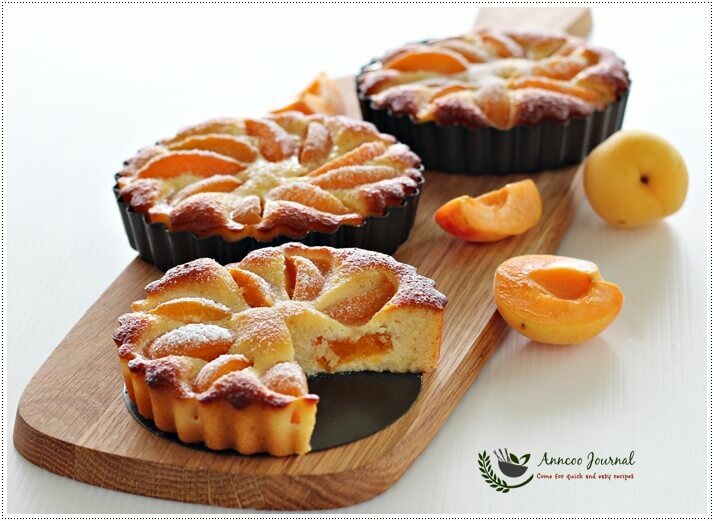 Arrange apricots in concentric circles on top of the batter. Bake for about 40 - 50 minutes or until browned and set. Rotate the dish twice while baking for even browning. Let cool and remove from pan. Dust with additional icing sugar and serve. Ann can I use almond flour in place of almond meal? Hi Sandy, almond flour is the same as almond meal, ground almond and almond powder. Hi there, you recomment 4-12 cm or 5 inch tart pan or 1-22 cm or 12 inch pan but the conversion is incorrect. It should be closer to a 8.5 inch pan. Having said that, I used 4-12 cm pans and the tarts were delicious. Thanks for sharing it. Hello, can you make this recipe dairy free as well, can you replace the butter? Hi Michele, you use also use vegetable oil. Made it with Pears that I had left. Can’t wait to cut and try it. Hi Li T, You can use blueberries but will be a bit soggy. Is almond meal grinded almond? Like toasted almond n grinded finely? Hi Joelle, The almond meal is available at the baking ingredient supply store. You can also grind the almond flakes to powder form. Yes Shirley, Gluten free means no wheat flour in the recipe. You've to check on the ingredients whether you're allergic to any of it. Hey, Ann, these tarts looks fantastic. My family is on the gluten-free diet. Definitely will bake some. Thanks for sharing. By the way, the photos are pretty. Ann , those tarts look pretty delightful ! The apricot-almond combo sounds delicious ! Happy New Year to you and to the rest of your family !!! Hi Ann, Happy New Year to you. That's a beautiful tart, look very delightful. I am always on the look out for simple and tasty treats. Wonderful recipe! Pinning! 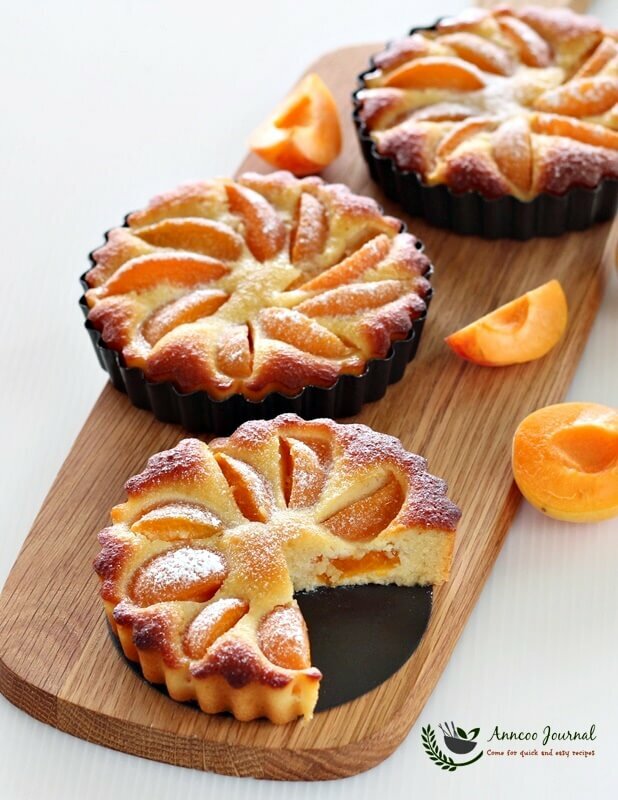 I am just loving these apricot and almond tartlets! I wish I had one to devour right now – they look so delicious. 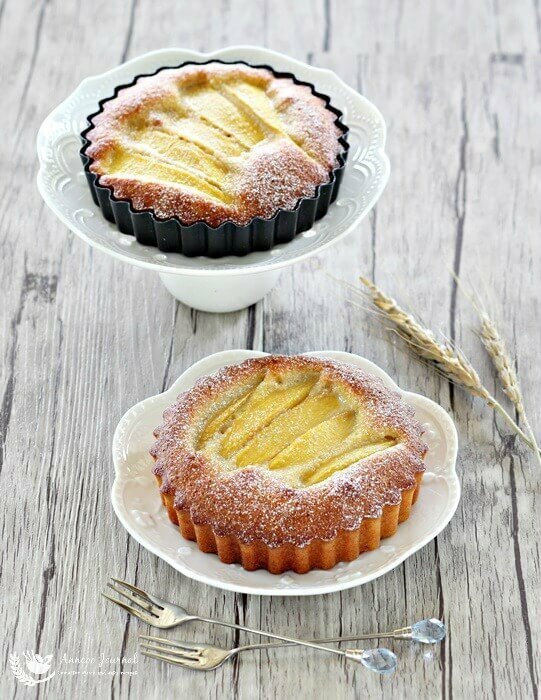 Lovely apricot almond tarts ^-^! Almond and apricot.. must have been delicious not just very beautiful! I baked a crustless tart the other day too. So I know from the first hand that these are delicious, Ann. They look so beautiful and good!